DNA profiling is a technique used by law enforcement to identify people based on their DNA. It is also called as genetic profiling testing. The process of DNA evidence in criminal investigations has been preferred in last few decades increasingly. This has helped identifying criminals as well as proving convicted people as innocent. It is also known that every individual person has a unique DNA which is located throughout the body. We know that cells are the basic building blocks of the body and contain all the genetic information about a person. At DNA Tests, we test 16 different locations on a person’s DNA to generate the DNA profile. We offer Legal DNA Profiling and Fingerprinting Test in India. 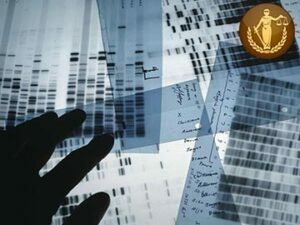 Since, there is exclusivity in every DNA sample, figuring out a particular DNA evidence at a crime scene is achievable. On the other hand, law enforcement can determine that a particular suspect wasn’t involved by the absence of his DNA. The DNA Profiling standards we perform are sufficient to minimize false matches occurring by chance. This must take account of increased likelihood of false matches in case of transboundary searches or with relatives. The team of professionals working at DNA Forensic Laboratory envisions total security for people in communities and to enhance the experience with varied services provided by company. In order to maintain quality, we encourage prompt examination of the crime scenes. Also, analysis of DNA should take place only in laboratories with quality assurance and 100% accuracy, in case your investigation is being handled by 3rd parties or law enforcement agencies. Our primary motive is to deliver our best in services and results to clients. Feel free to drop us a line at: +91 8010177771 or WhatsApp us at: +91 9213177771 in case you have any queries.